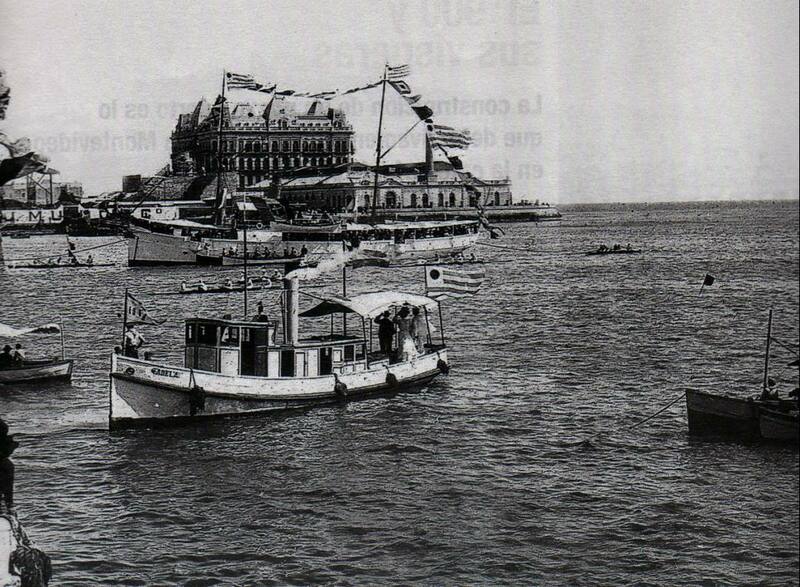 Races organized by the Montevideo Rowing Club in Montevideo Bay, c. 1890. The Hotel Nacional, in the background, was one of the greatest schemes of the National Company of Credit and Public Works. Victim of the 1890 crisis, the building was never operational, and the French manager stayed some years in the empty hotel waiting for an inauguration that never happened.